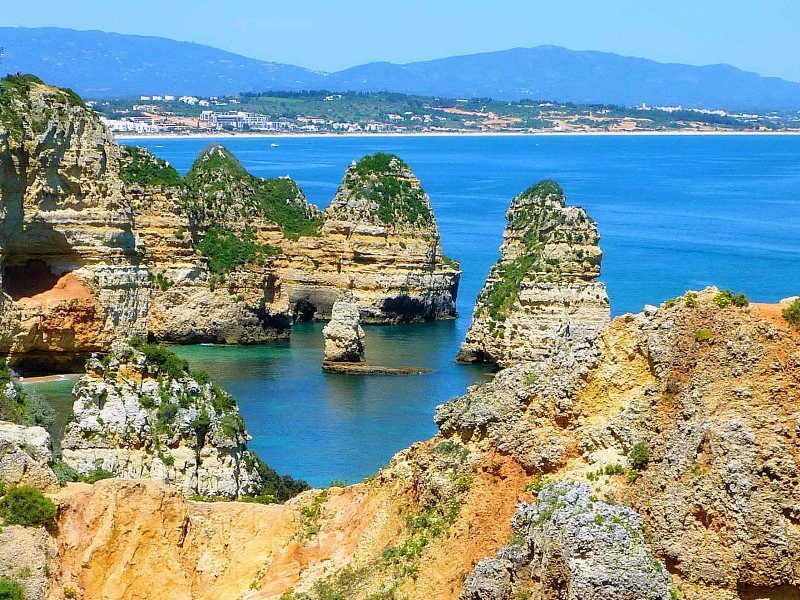 This bicycle trip in Portugal is longer than the others, however it is not a difficult bike tour and everyone can do it: you can see the altitude gain per day and the climbing profiles. 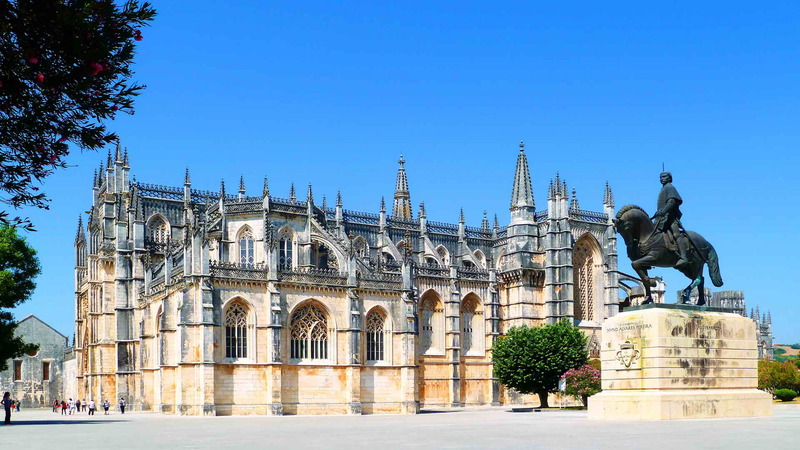 This program includes 2 non-cycling days; it was intentionally designed that way to give you some time off the bicycle to visit an impressive 14th century Monastery and Évora, a city classified as World Heritage by UNESCO. The overall difficulty level of this tour is 4, Advanced (more precisely, level 3.8 between 1~5). It is recommended for enthusiast cyclists. It is supposed that you are fit and in good shape. 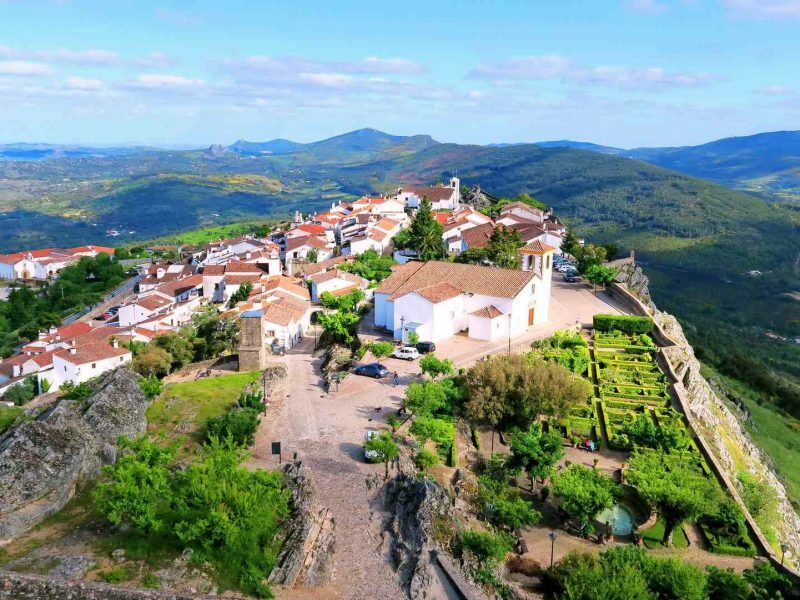 This bicycle tour in Portugal allows you to know some Jewels of Portugal that you can do on a bicycle. 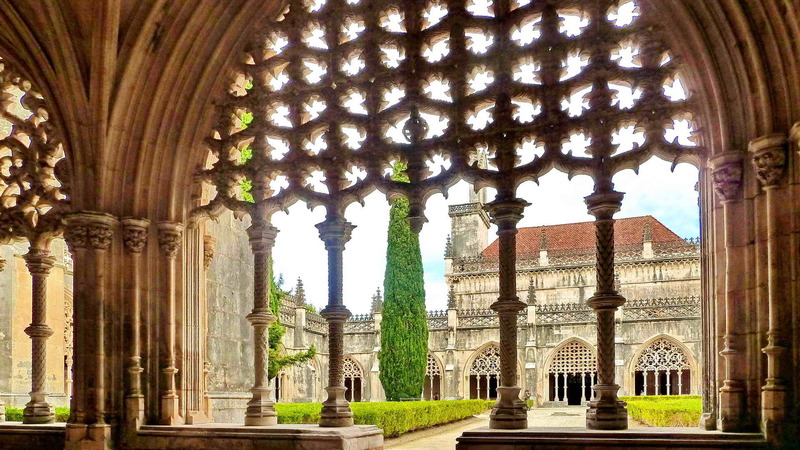 Portugal is a small country, but very diverse. You can find many evidences of the many peoples that were here in the past and also the influence of our Discovery Journeys (15th and 16th centuries) that showed the world new worlds. Everything is mingled in our culture, our architecture, our landscape, our gastronomy, etc. In Portugal everything is near. You start riding in the morning and you admire the landscape; you ride some km and you can admire a completely different scenery! 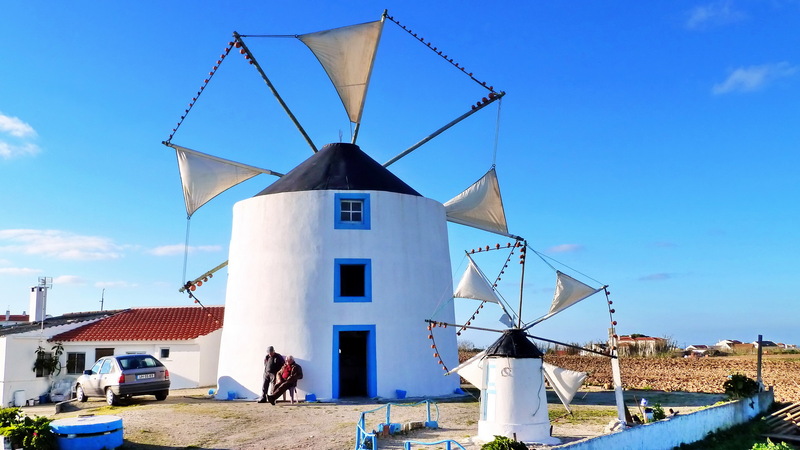 On this 13-day bicycle trip in Portugal you will ride along beautiful and quiet roads, you will visit many typical small towns and villages of Portugal, you will experience the atmosphere of kings and queens, you will have a close contact with our History and you will admire the vast landscapes inland and along our long coast. 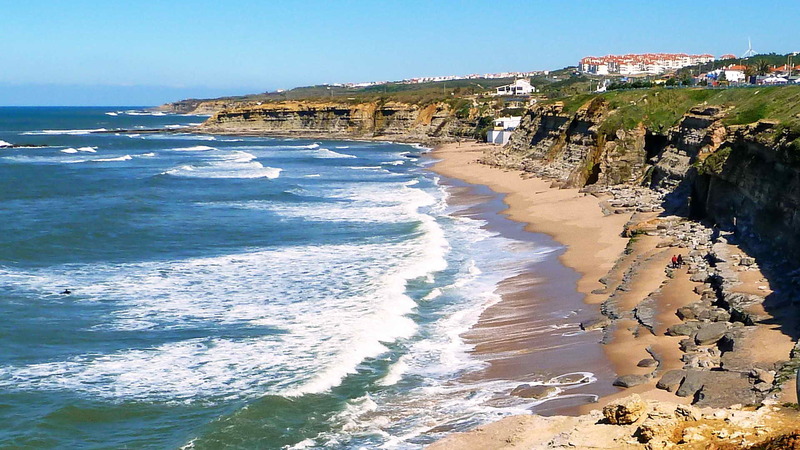 There would be other wonderful places to visit in Portugal, but it would not be as pleasant on a bicycle. 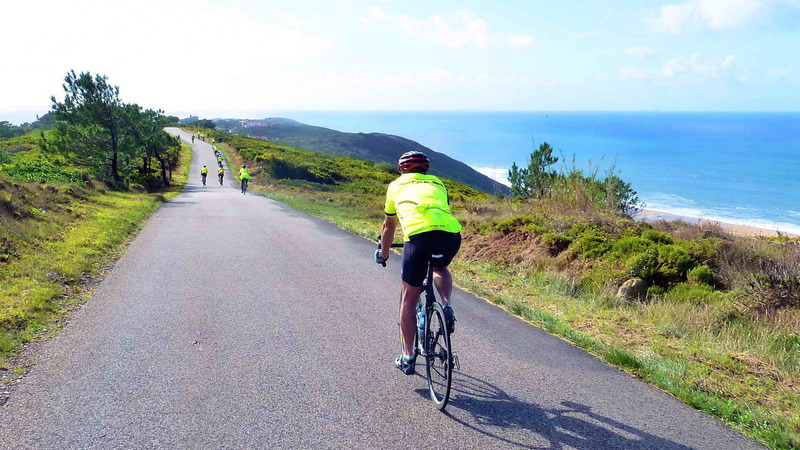 We designed this bicycle tour in Portugal selecting interesting places and roads, avoiding crowds and traffic. 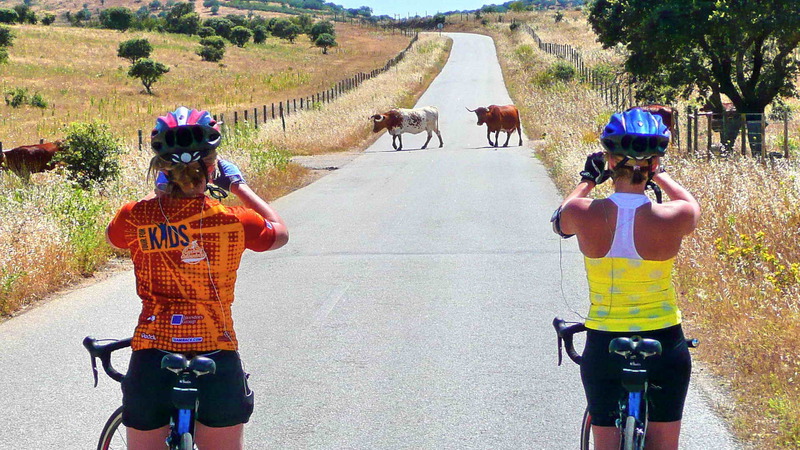 Cycling in Portugal is safe. 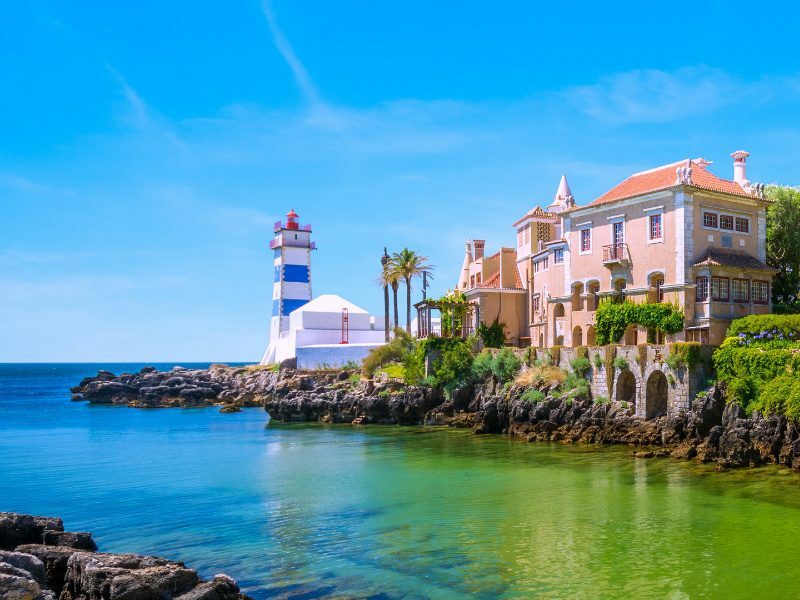 This tour finishes in Cascais, which was a minor fishing village until the Portuguese King shows it as his Royal Summer Retreat (19th century). 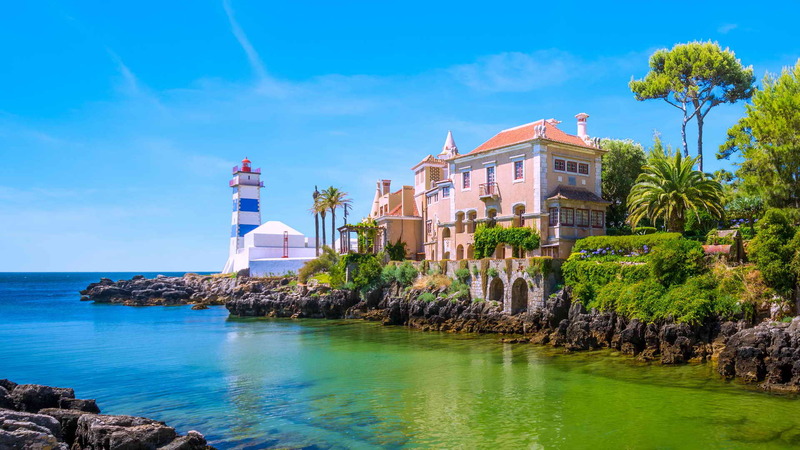 Today, Cascais is an elegant fusion of decorative 19th century architecture, tradicional Portuguese charm and outstanding tourist facilities. 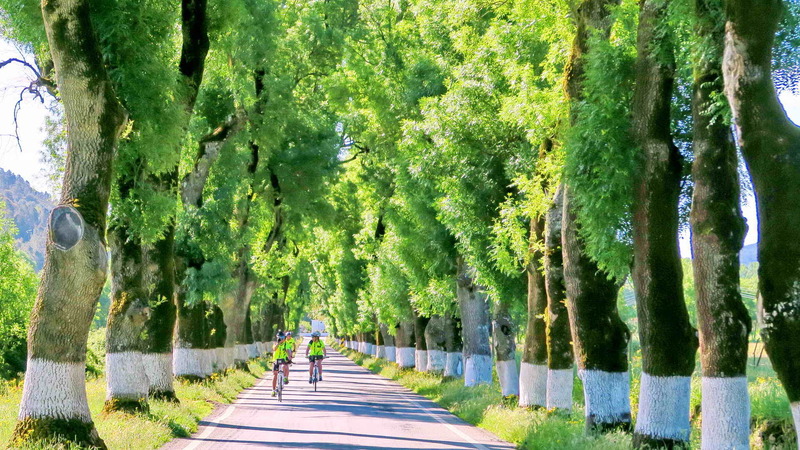 On this bicycle tour in Portugal history and landscape are intertwined in an amazing way! 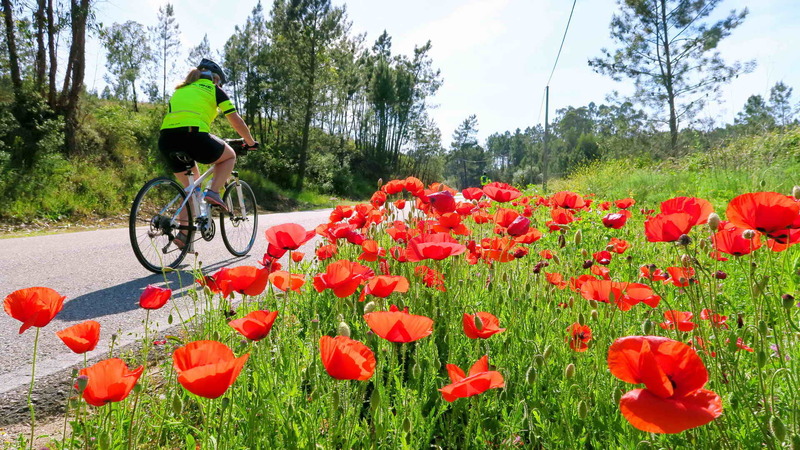 This is the perfect bicycle trip in Portugal for you, …without stress! 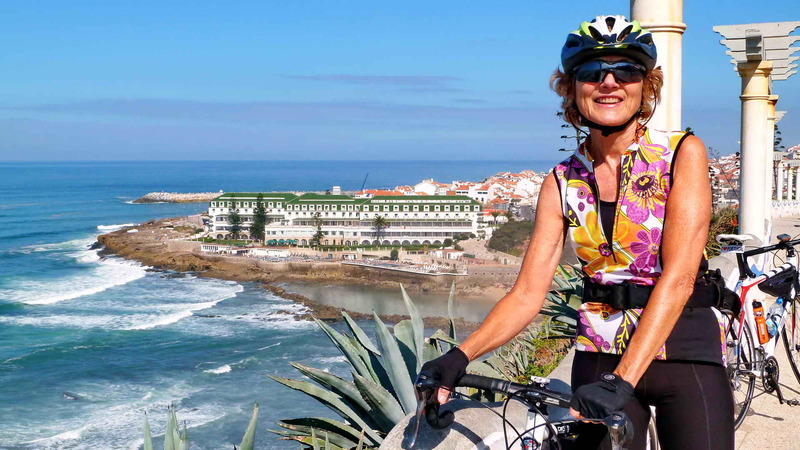 13-day road bike tour with a GPS device | Superior quality bicycle rental | Transfers from and to Lisbon Airport | Accommodations for 12 nights (1 five-star hotel made of marble, one 14th century Monastery, 2 four-star historic hotels, 6 four-star hotels and 2 cozy three-star hotel) | Double bedroom occupancy | 12 Breakfasts | Daily energy-bars and water | Luggage transport from hotel to hotel | Documentation about PortugalBike Tour | Personal Accident Insurance and Liability Insurance | First-Aid assistance on location | Techno–Mechanical Assistance | Permanent Backup Vehicle | Visit to Pottery Workshop | Visit to a winery and wine tasting | Visit to a Marble Quarry | Visit to Roman Ruins | Visit to a cave with limestone formations. 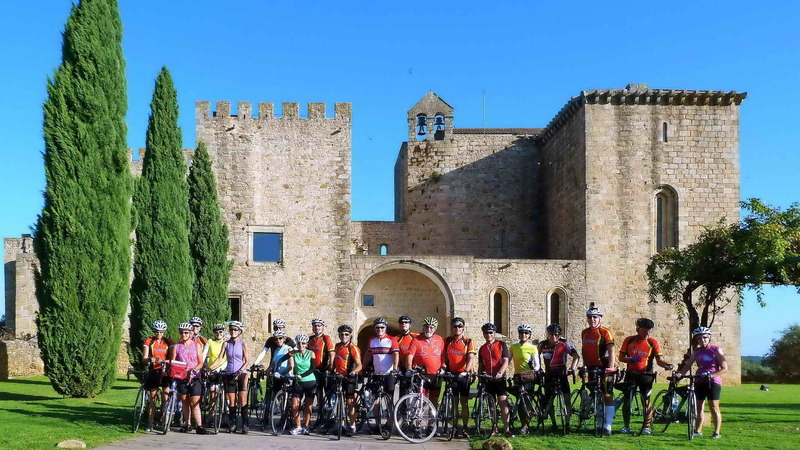 Supported version: We require a minimum of 4 people to confirm this Supported departure | Groups: Discount for Groups of 6 or more people | E-Bike rental: + Euro 270 | On Supported tours we can offer you any date, depending on our availability. If the tour starts and ends in different months the price will be adjusted accordingly, depending on how many days in each month. The price of festivity dates will be adjusted accordingly. Welcome at Lisbon airport. 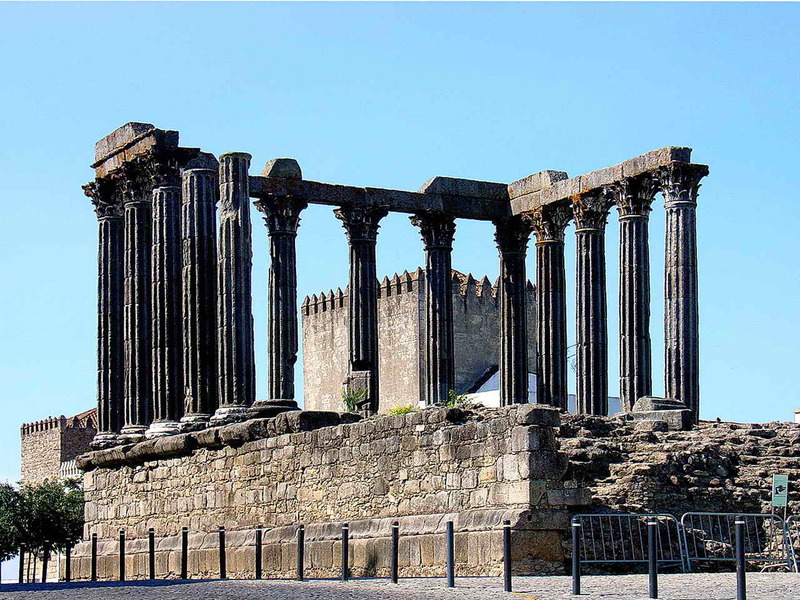 1h30m drive to Évora, the capital of Alentejo region, followed by a briefing about the tour. Lodging in a 4* Hotel. 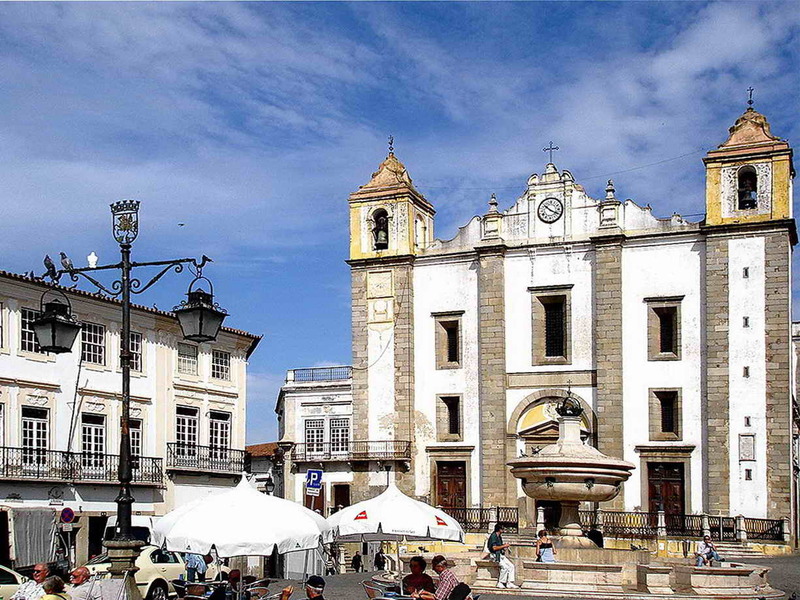 Visit Évora, a city classified as World Heritage on UNESCO list. 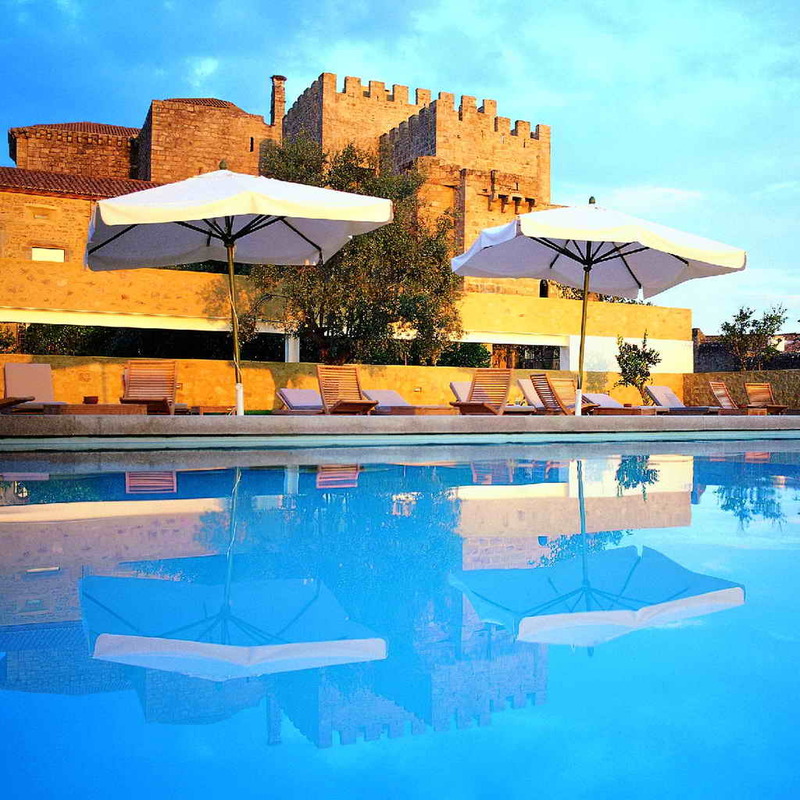 Lodging in a 4* Hotel located inside the city walls (the same as the night before). 50km (31mi), 550m total climbing (1800ft), level 3 (2.7). 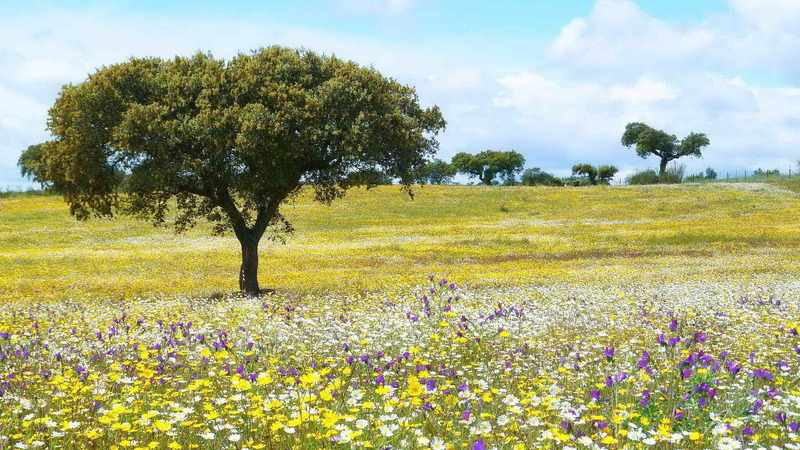 Alentejo is a region that keeps many secrets, many charms and many relics. 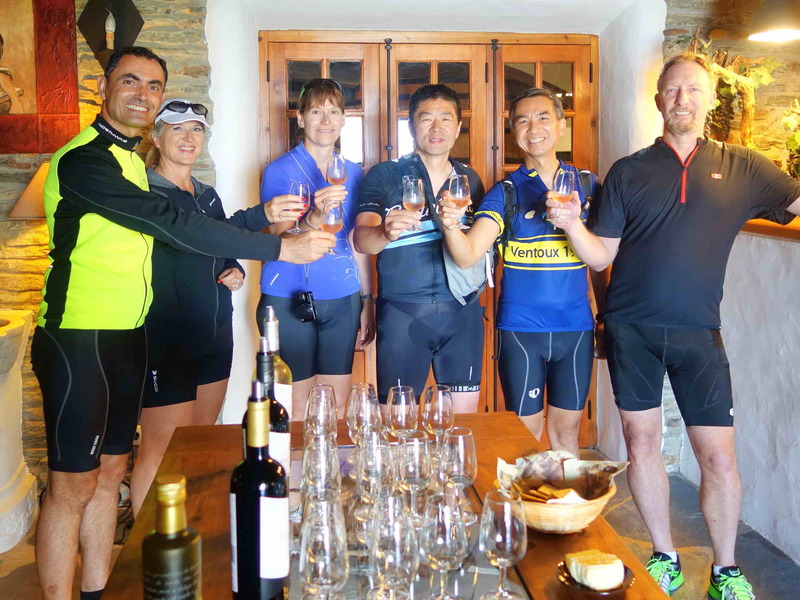 Today you cycle along many olive-trees, cork-oak trees and vineyards. This is the land of olives, cork and wine. You will find another hidden treasure at the end of the day. 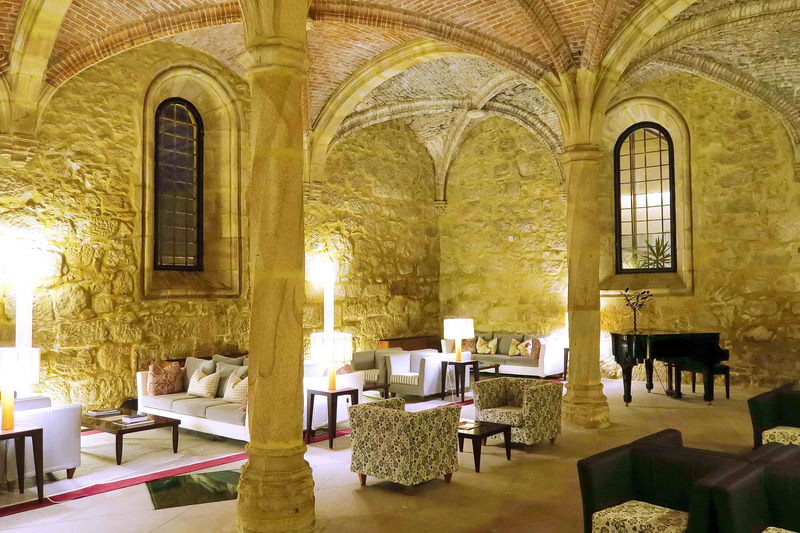 Lodging in an impressive Convent built in 1182 by monks, recently converted into a 4* hotel, with its impressive private collection of eighteenth century Portuguese tile work. 47km (29mi), 690m total climbing (2260ft), level 3 (2.9). 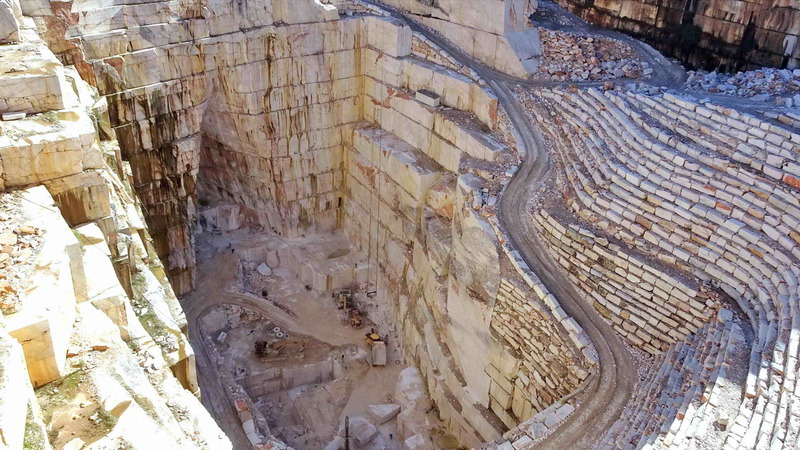 Today you will see the region of marble in Alentejo region and the quarries and marble everywhere. 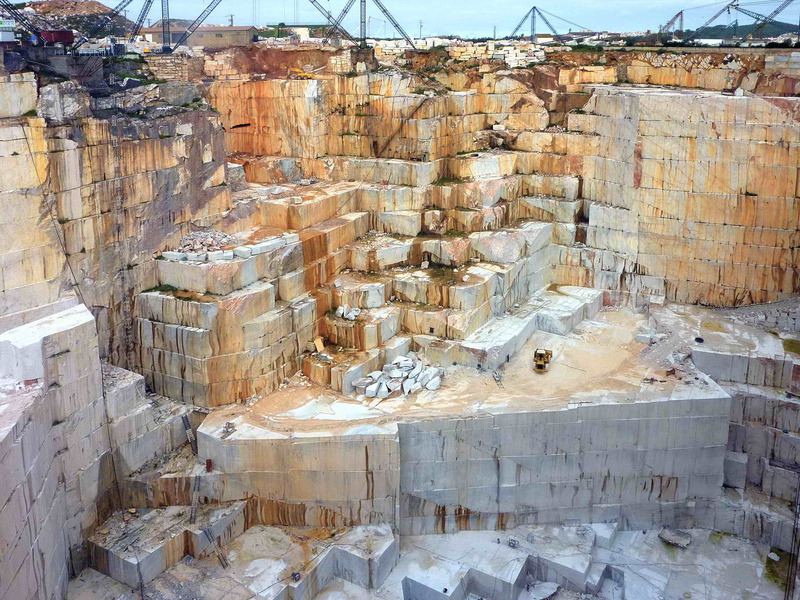 You will stay in the capital of marble. 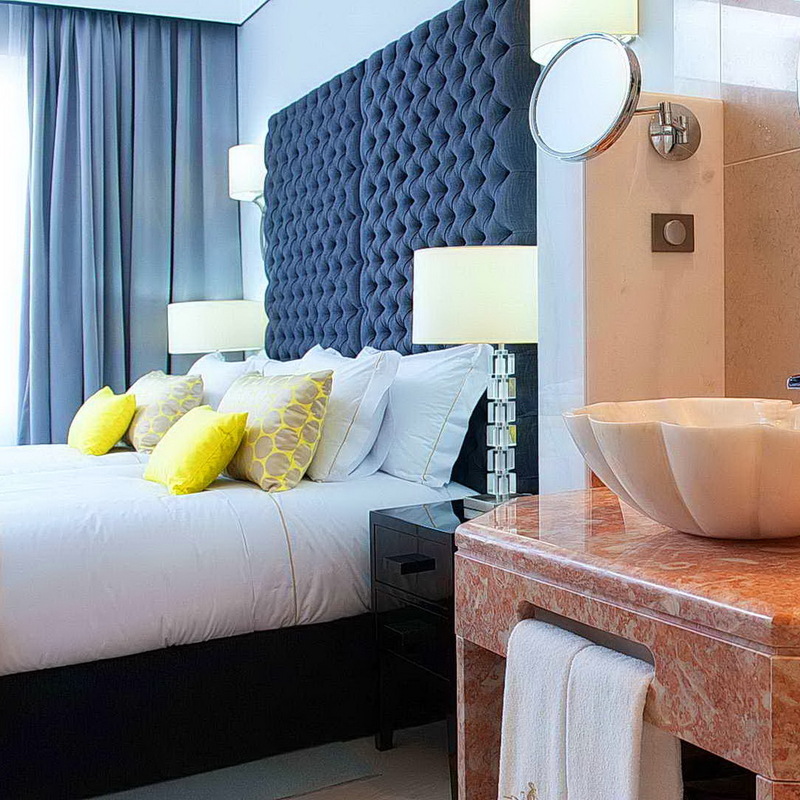 Lodging in 5* Hotel made of marble. 84km (52mi), 1110m total climbing (3640ft), level 4 (4.1). Today you will cross a wide farm landscape with some small villages here and there. You will continue until you get to a 14th century Monastery which is in the middle of nowhere in the plain. 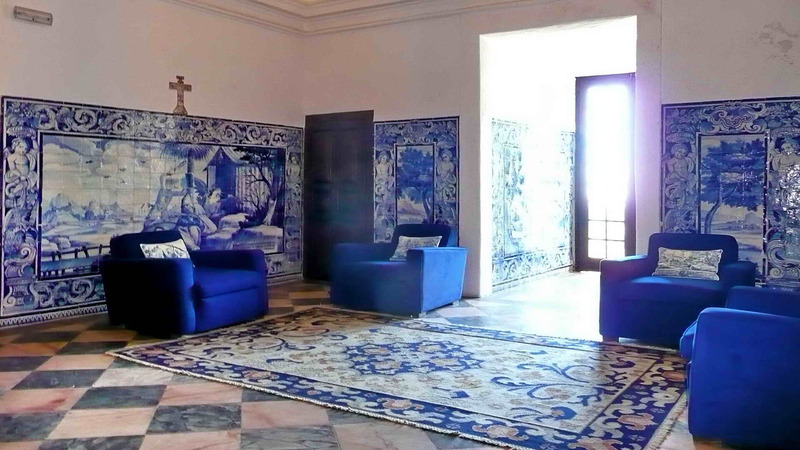 Lodging in a Pousada that manages to combine the genuine characteristics of the former monastery with modern luxury. 54km (34mi), 1010m total climbing (3310ft), level 4 (3.5). 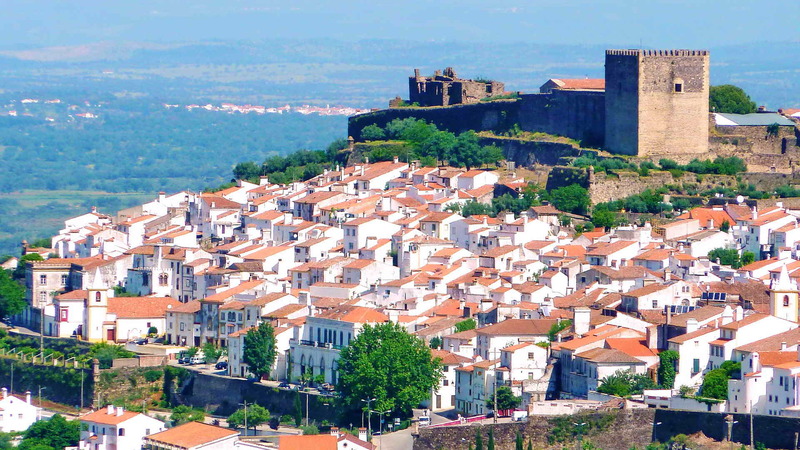 You will cycle along quiet roads admiring the fields and the day ends with the climb to a medieval small town on the top of the hill, to defend our borders from the Spanish invaders. Visit to a Roman ruins site. 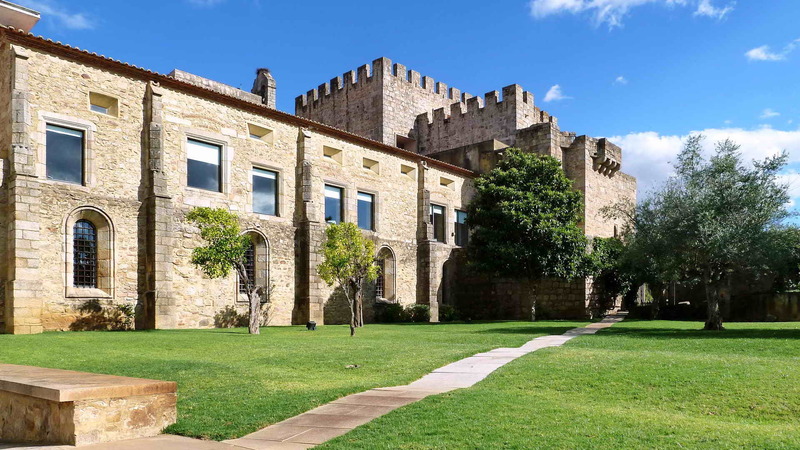 Lodging in a cozy 3* Hotel in the highest medieval small town of Portugal. 116km (72mi), 1390m total climbing (4560ft), level 5 (4.8). 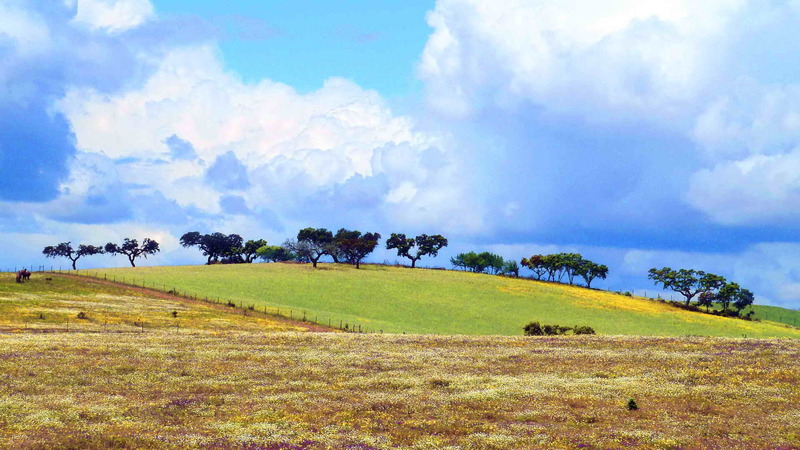 Today is the longest day of the tour and you will see the diference of the environment and landscape in Alentejo region and the center of Portugal. 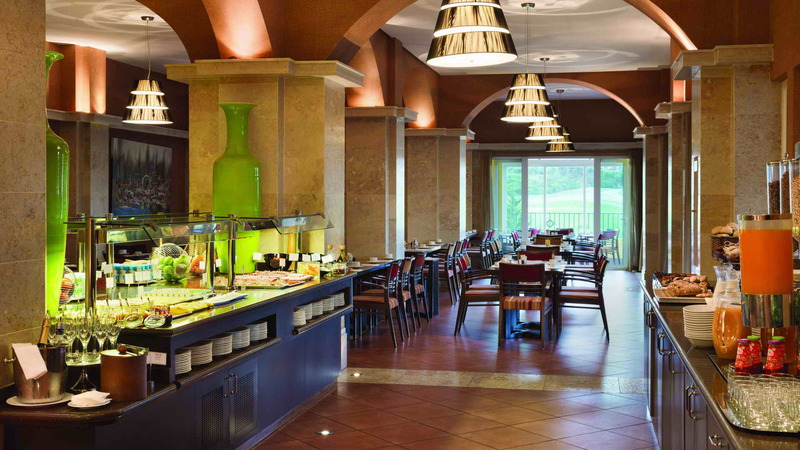 Lodging in a 4* hotel located in a rural area where you can enjoy the quietness of water and nature. 67km (42mi), 1120m total climbing (3680ft), level 4 (3.9). Your way is always very diverse and you get to a sacred place, a place of many pilgrimages and prayers; several Popes have visited it several times. 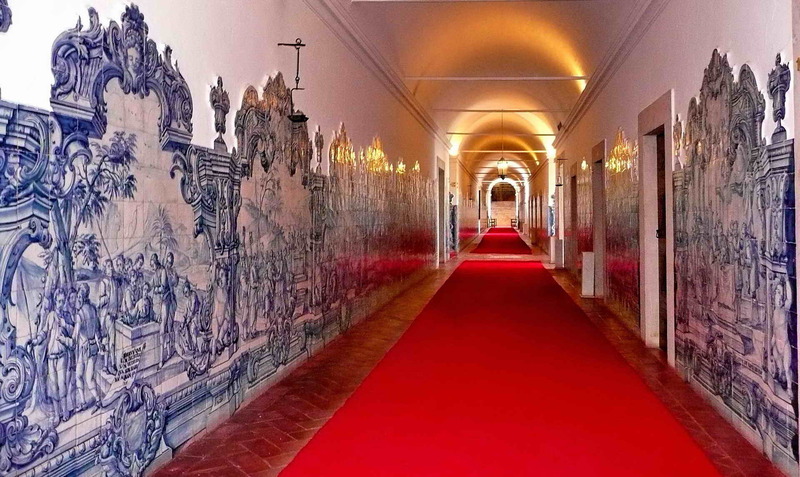 This is one more Jewel of Portugal. 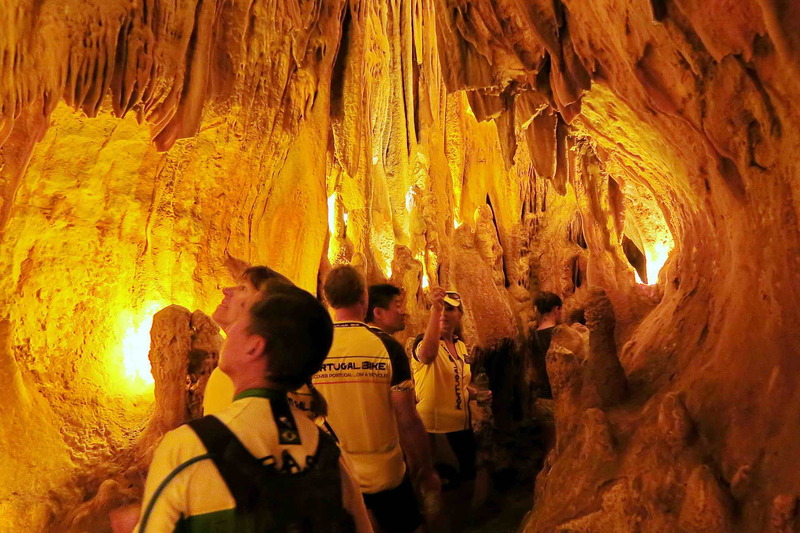 Visit a limestone cave. Lodging in 4* hotel. 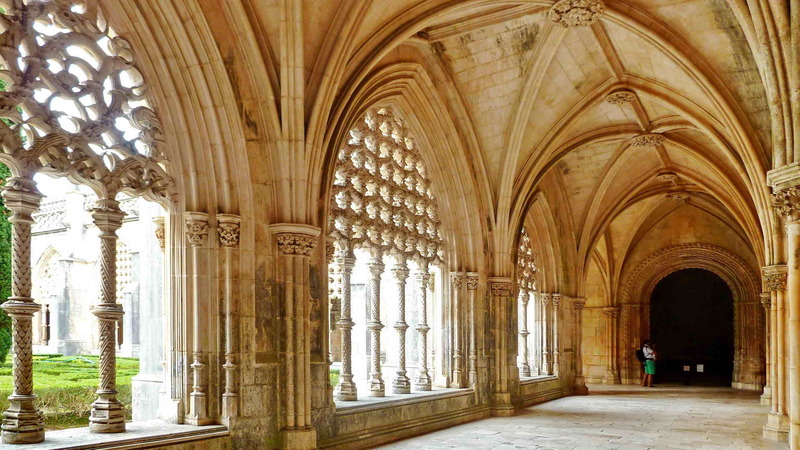 Visit an impressive 14th century Monastery and several museums around it. Lodging in a 4* Hotel located very close to the monastery (the same as the night before). 79km (49mi), 1170m total climbing (3840ft), level 4 (4.0). 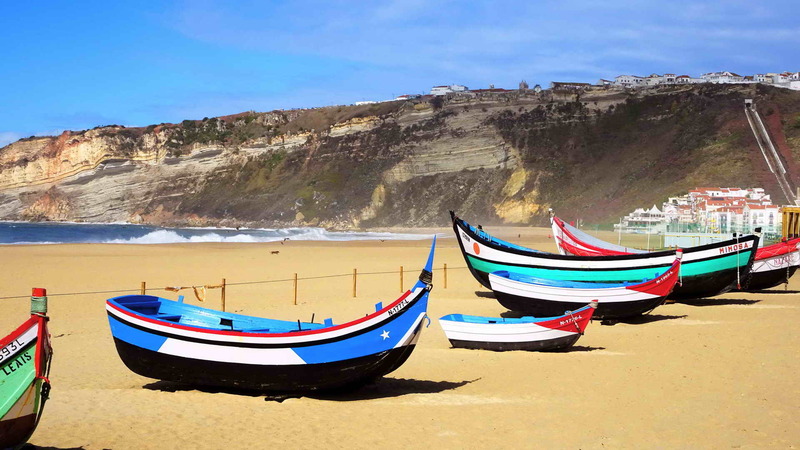 You continue cycling towards the coast until you get to the most typical beach in Portugal where the fishermen work their nets and dry the fish under the sun. 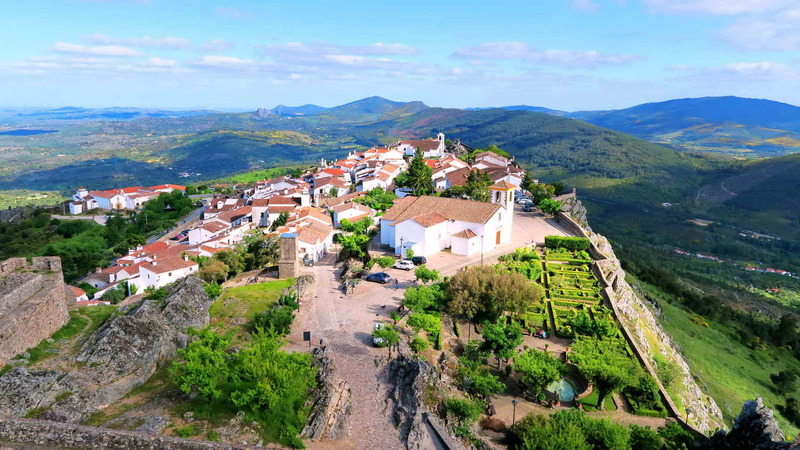 The tour continues with gorgeous sea sceneries and then you get to the most well-preserved medieval town, another Jewel of Portugal, with its narrow and winding roads and its whitewashed houses and the castle at the top. 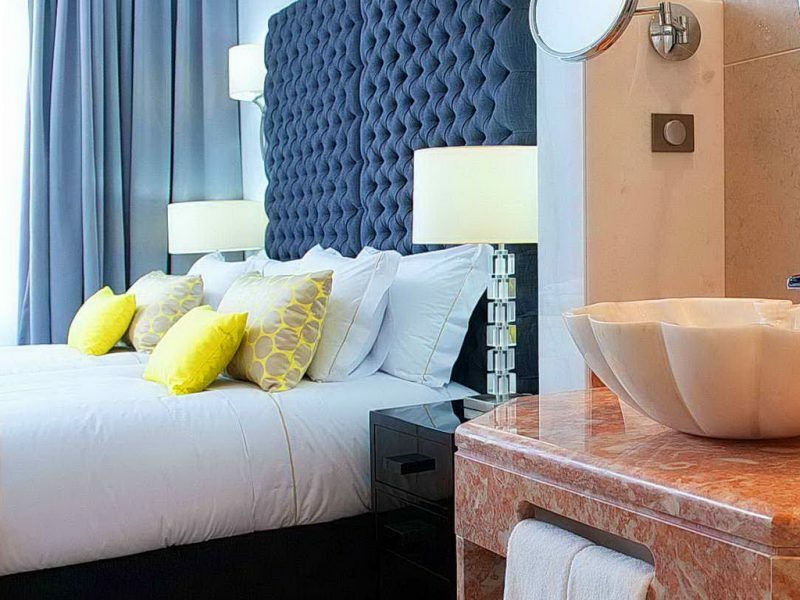 Lodging in a charming 4* hotel whose building is dated from the 14th century. 81km (50mi), 860m total climbing (2820ft), level 4 (3.8). 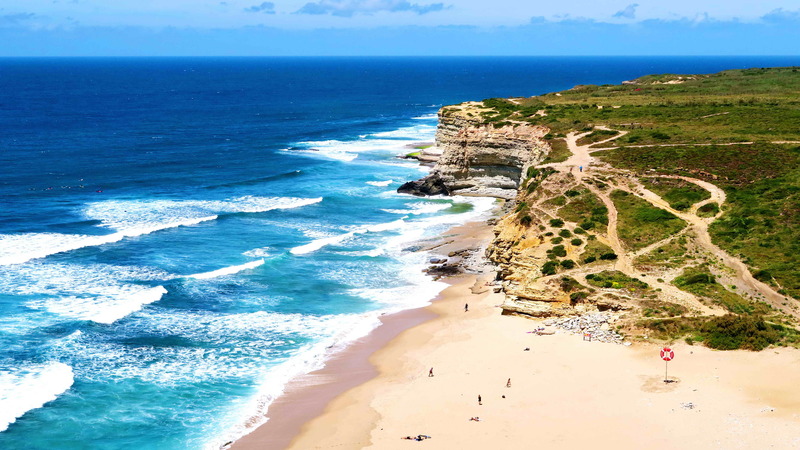 This long coast north of Lisbon is called the Silver Coast because of the reflection of the sun on the sea water. 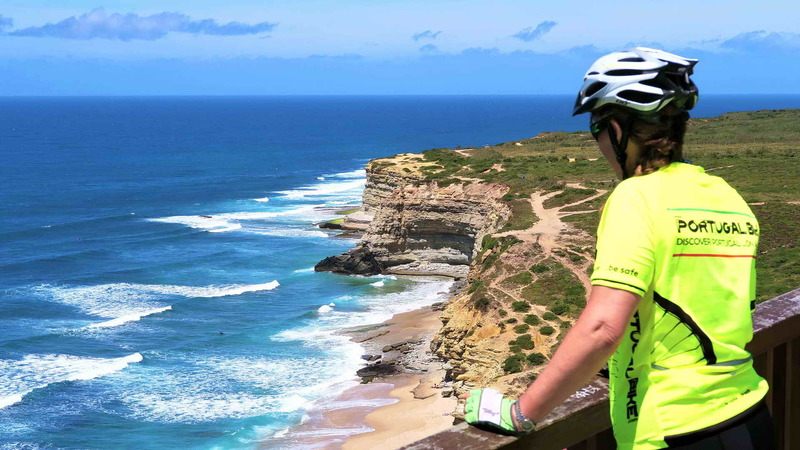 You will see the wonderful view when you cycle around a small peninsula. 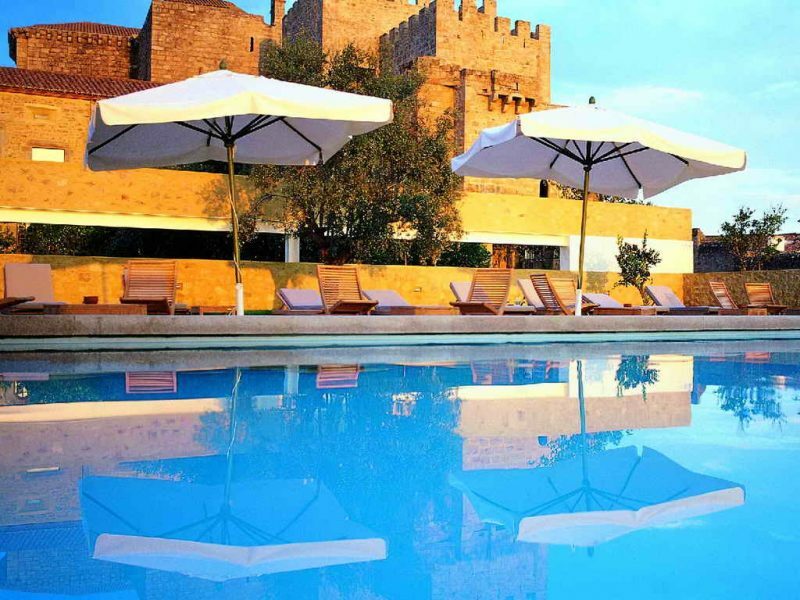 Lodging in a 4* hotel with a pool and SPA. 84km (52mi), 1160m total climbing (3810ft), level 4 (4.3). We continue towards south and closer to Lisbon. 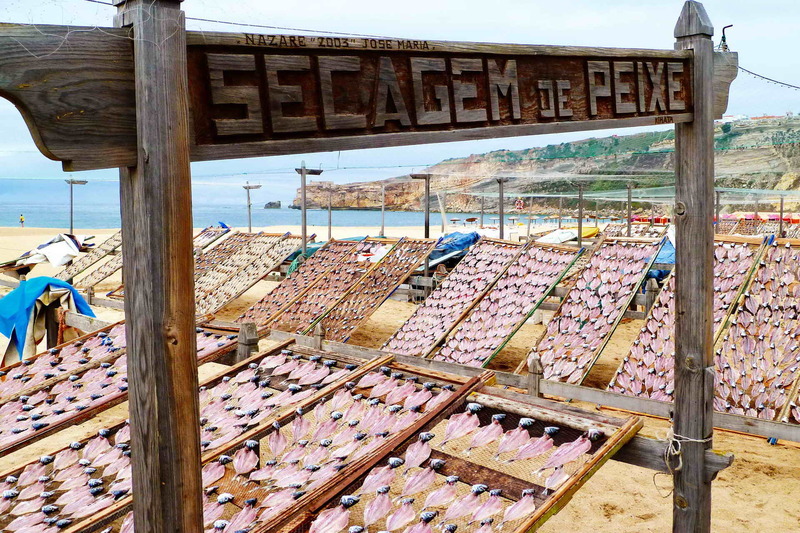 We will see more traffic and some originally fishermen villages that are now the place where many people spend their holidays close to Lisbon. 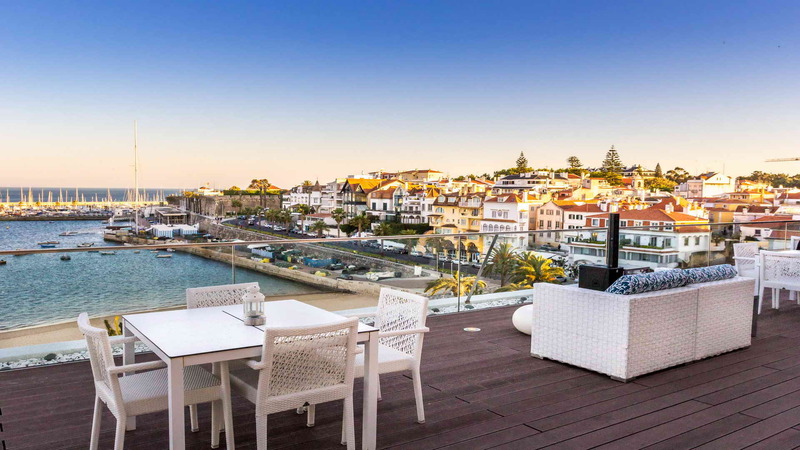 The tour continues ending in Cascais, a cosmopolitan small town on the coast. 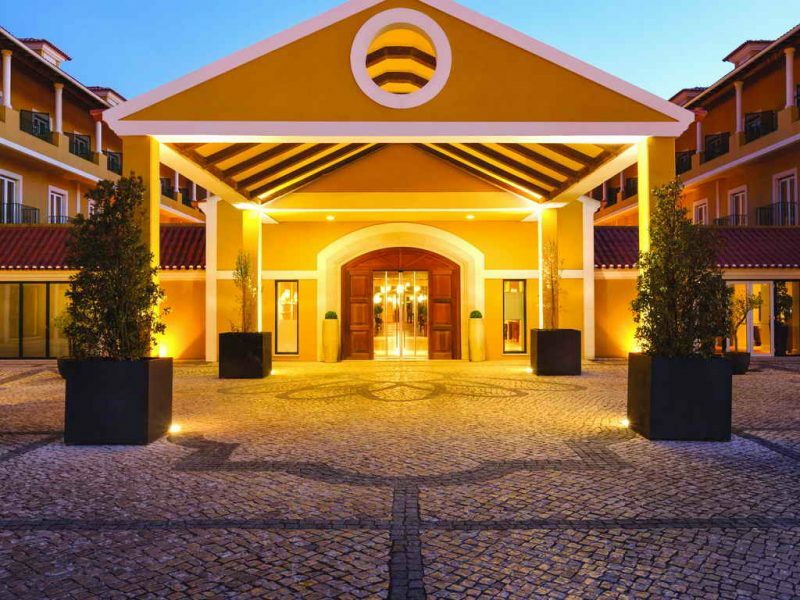 Lodging in a 3* hotel in the center of the town, to relax and enjoy the romantic environment of Cascais. 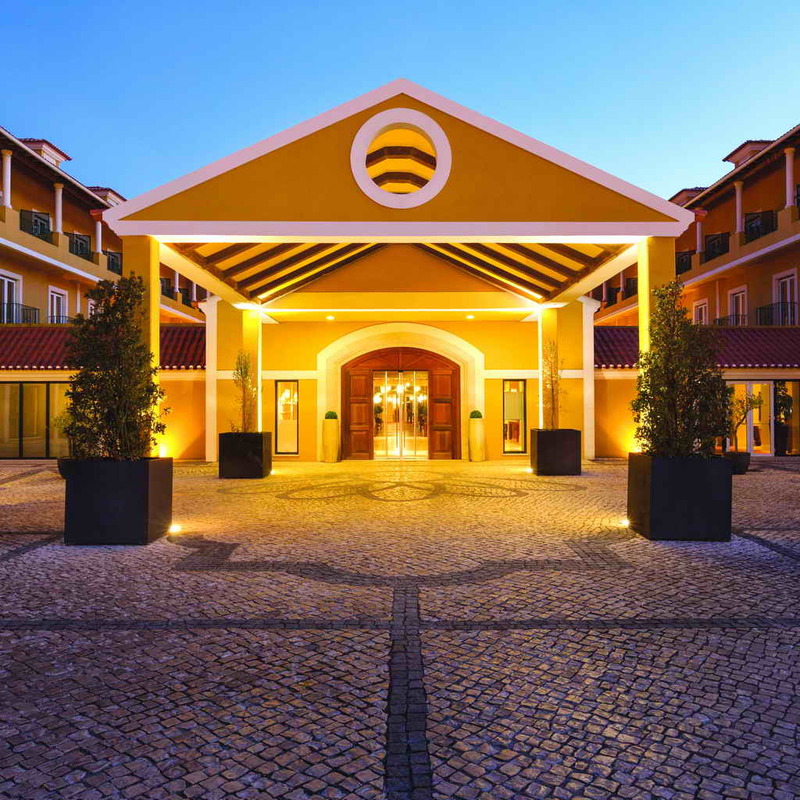 After breakfast you leave to Lisbon airport – 45min drive. 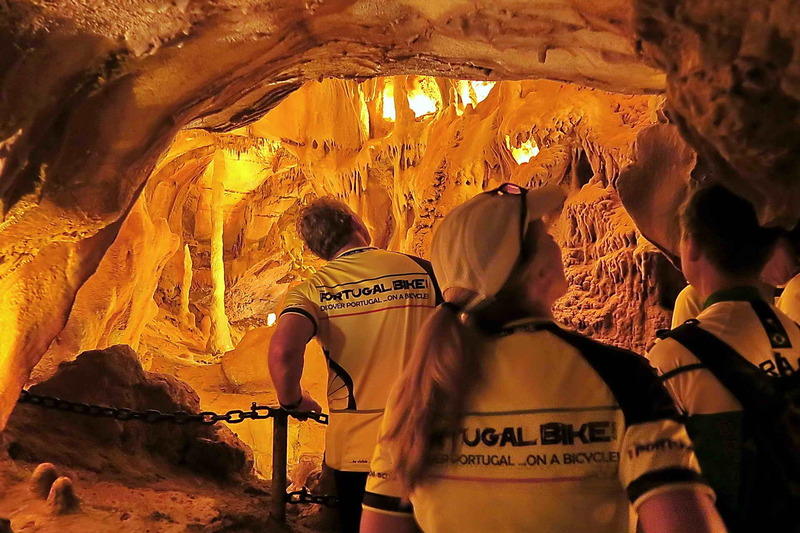 Are you looking for an exceptional bike tour? This tour and the company that runs this tour are very likely to exceed your expectations. 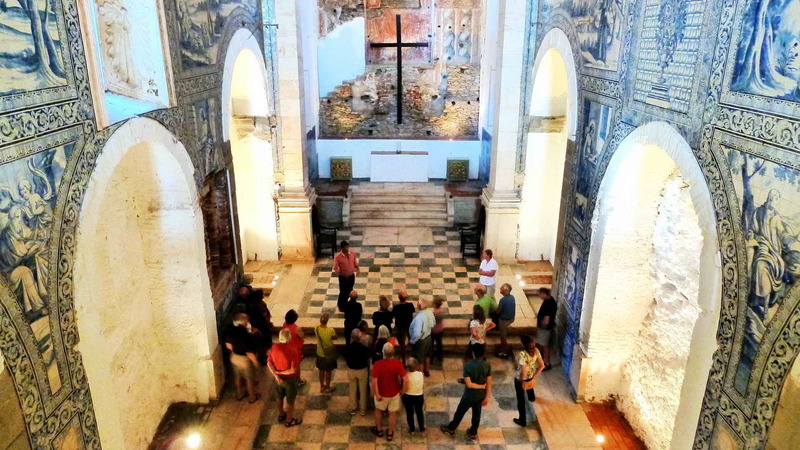 The Jewels of Portugal tour offers a very well planned route, amazing sights, well-tuned bicycles, informative tour guides, good food and local wine and comfortable and unique four-star lodging. But let’s not stop there: The tour leader, van driver and sweep rider are pleasant, funny, exceptionally caring, watchful for everyone’s safety and enjoyment and just delightful people. 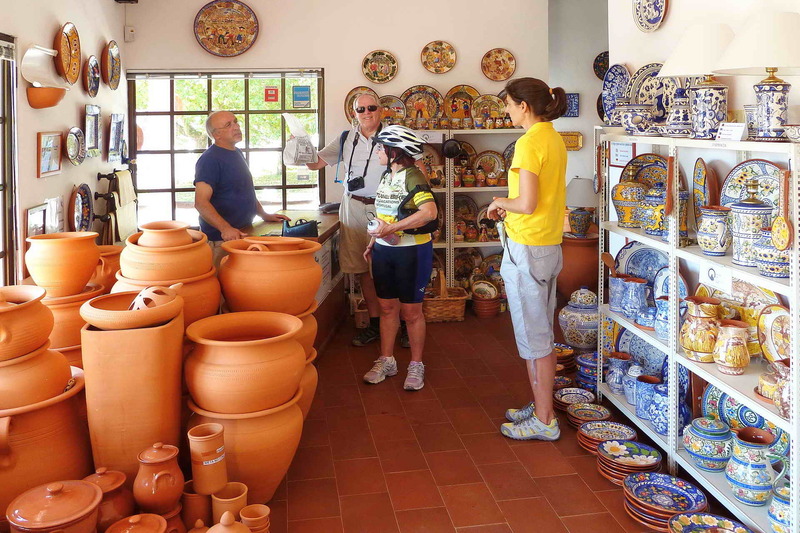 This PortugalBike tour has all this and more, including great route documentation with sights not to miss, activities along the way, route profile info and riding tips. On top of all this, this owner-operated tour company manages all the logistics exceptionally well. And I don’t say this lightly or often (I am an international management consultant specializing in logistics and transportation who is extremely demanding on these points). 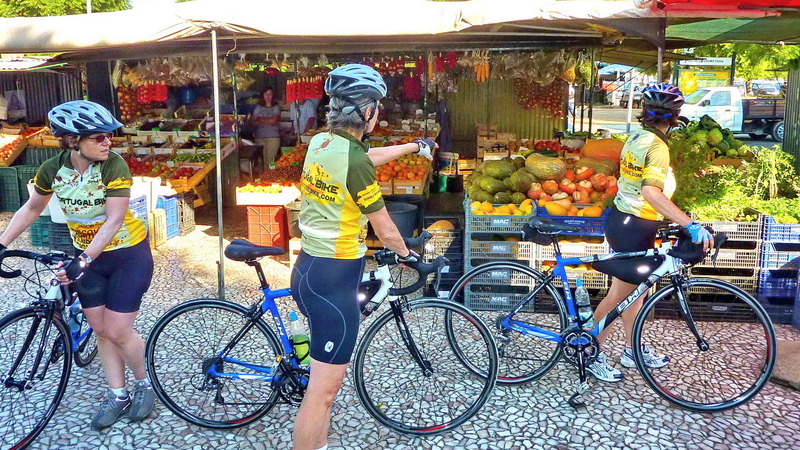 PortugalBike’s team manages the pickup/drop-off coordination, luggage handling, and other elements incredibly well. 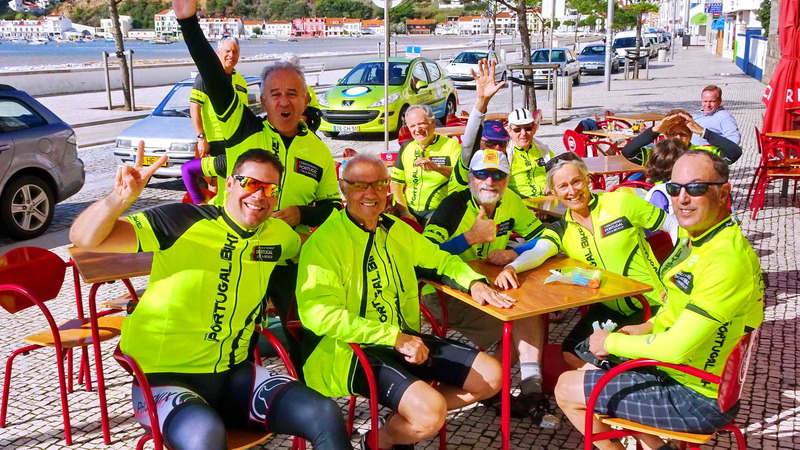 (…) At the end of the tour, you will have a great appreciation of all that Portugal has to offer, have made some new friends and realize that PortugalBike has managed to raise the bar against which all bike touring companies are measured. 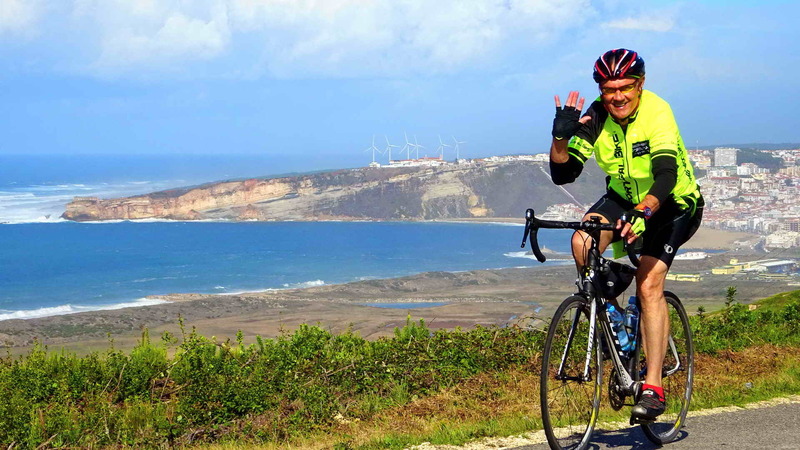 After taking ten trips with five different bike tour companies across North America and Europe, I can easily say that PortugalBike was clearly the best and offered the most enjoyable experience. As a person of little bike experience, I have to say my two week tour of Portugal was truly rewarding. I travelled with my husband who is a competent rider, but the company provided me with an excellent hybrid electric bike which compensated. 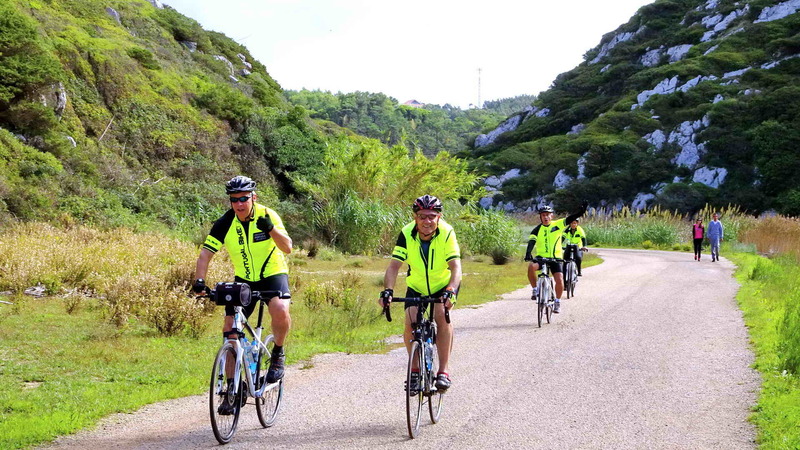 I was amazed how well I managed and it was through the assistance of the team at Portugal Bike who met the needs of everyone with their encouragement, good breaks along the way, excellent accommodation and attention to safety and every other detail that made it so outstanding. 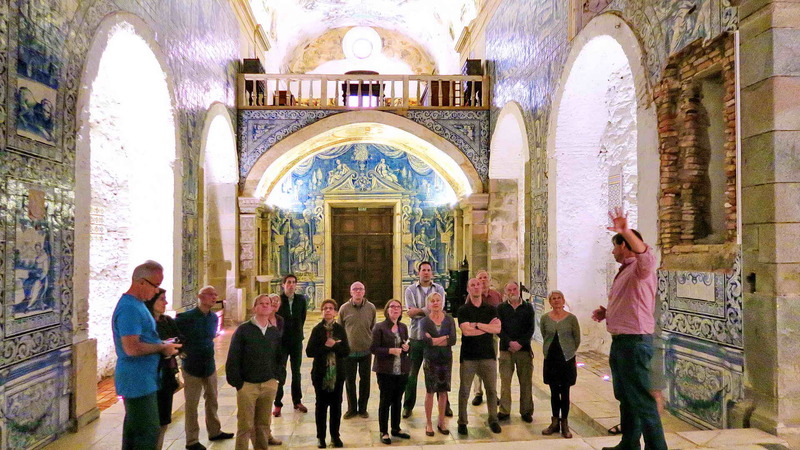 We both learnt so much about Portugal with the team’s descriptions on the way and visits to unique Portuguese sites of interest. We gathered together as a family at the end having shared a lovely adventure. Thank you Jose, Cristina and Ricardo. 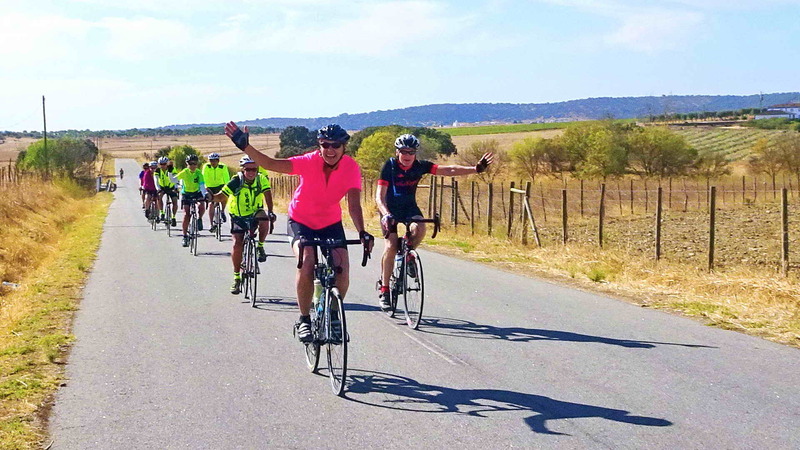 My wife and I just finished Portugal Bike’s two week tour through the center of Portugal (Alentejo and the coast) with a group of 14 cyclists guided by José, Cristina and Ricardo. This was a very well organized and executed cycling trip. 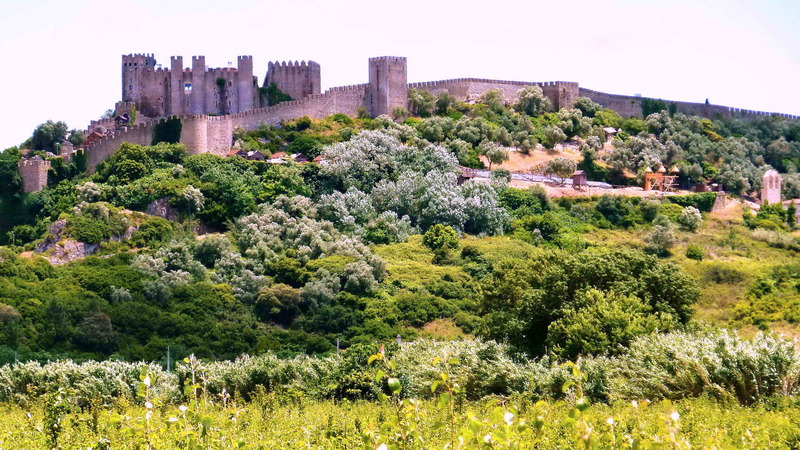 The route was exciting, through the cork and olive groves, across rolling landscapes, past vineyards and marble quarries and limestone caves, out to the central coast north of Lisbon. (…) Cristina and José (and Ricardo) are seasoned, patient and adaptable guides; they know their routes, they organize great lodging and meals, and they provide a context and passion which frankly you might miss on a self-guided trip. We’ve participated in a number of Backroads (and other) adventures in the past; Portugal Bike is every bit as good, at a fraction of the cost. 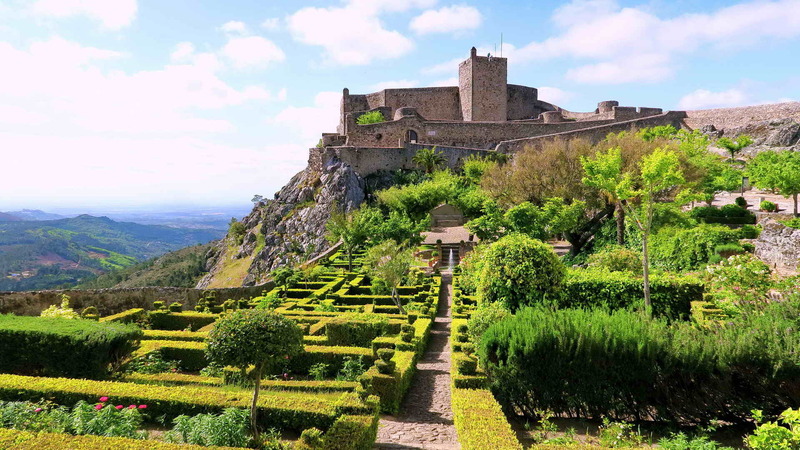 Maybe the peak moment: staring down from the walls of the Marvao castello, over valleys settled by the Romans, shaded by grand chestnuts, contemplating a dinner of pork and clams steamed in a copper cataplana. Go for it! 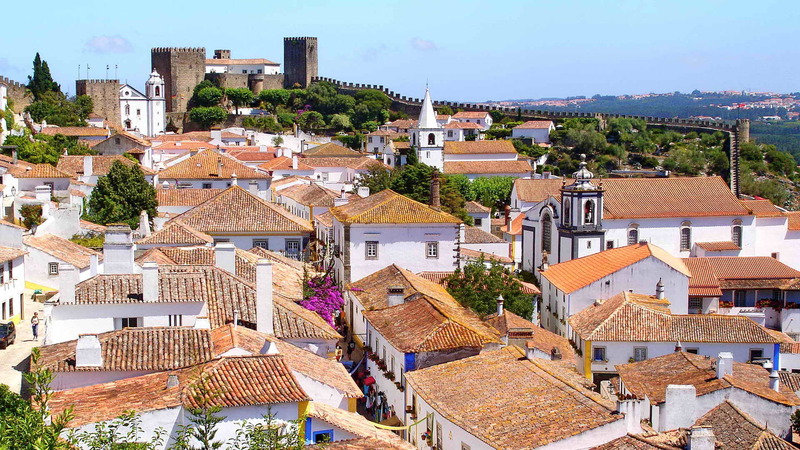 If you think you would enjoy some moderately challenging riding through gorgeous, varied country with guided exposure to some of the prime cultural sites of this amazing nation, Portugal, this trip if for you. The guides, Jose, Cristina and Ricardo are warm, welcoming, accommodating and do everything in their power to make the trip a rich experience. There are a couple of long riding days, but there are plenty of breaks to give riders a chance to refuel and catch their breath. 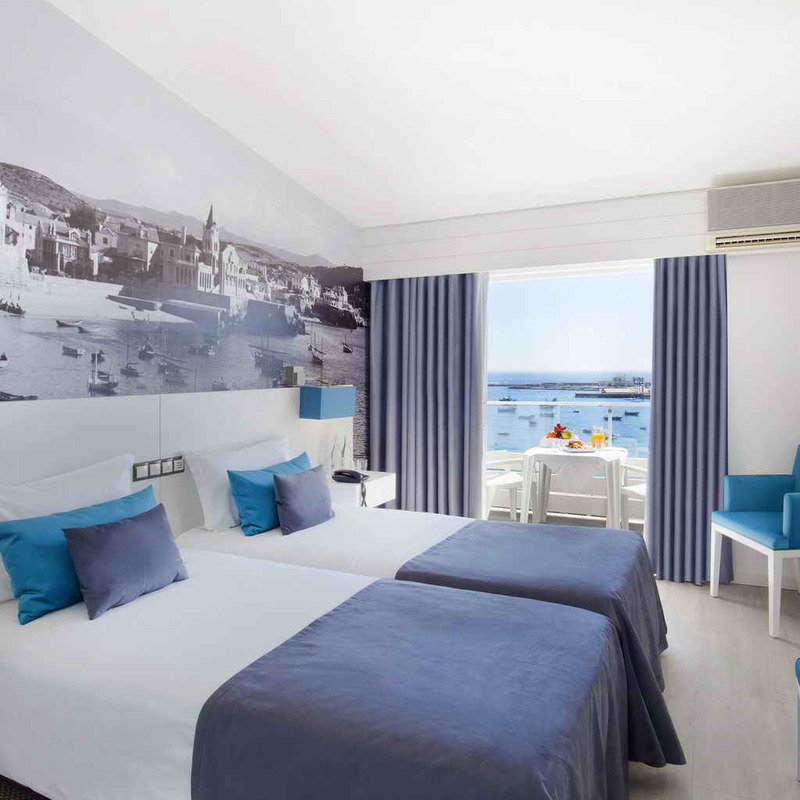 These are balanced with shorter days and rest days in towns with great cultural attractions. 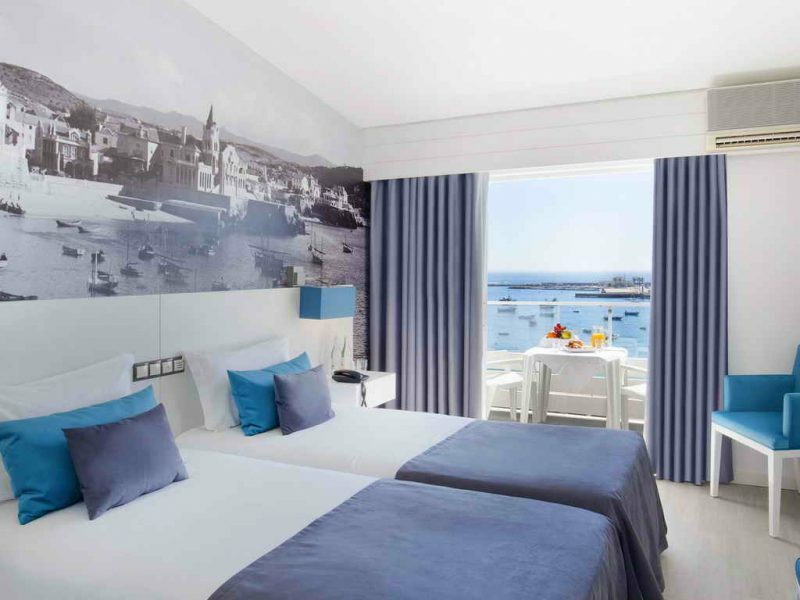 Food and accommodation are both very good, considering the price of the trip. The bicycles were first rate carbon road bikes with an option for an electric bike. But most impressive was the dedication and quiet passion of our guides to make it a safe and memorable trip. 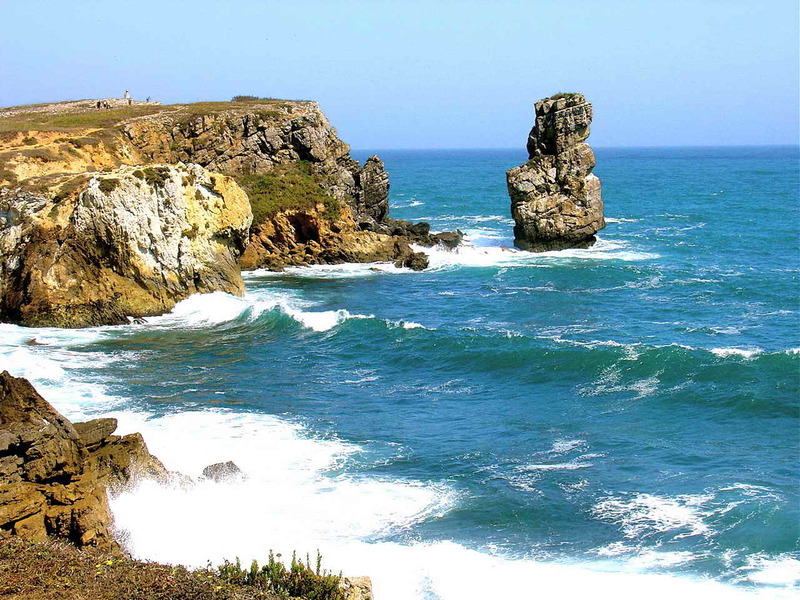 “Jewels of Portugal”, a great ride in every way!